Korea and Germany are commonly described as emblematic examples of divided nations. But while Korea is still divided Germany has gone through a peaceful unification. The book offers a unique comparative study on the demographic change in these divided countries. It also investigates the developments after Germany‘s unification. Based on this demographic insights of a merged society it asks about their use and limits for a possible Korean scenario of reunification. For Germany, the fall of the iron curtain in 1989 and the merger of the Eastern German Democratic Republic (GDR) into the Western Federal Republic of Germany (FRG) marked a new chapter in Germany’s history as a reunified nation state. The Korean Peninsula, in contrast, is still marked by a severe division. Similar to the Federal Republic of Germany, which did not recognize the GDR as legitimate state in German territory, the Republic of Korea claims to be the political body for all of Korea and all Korean citizens living on the Korean peninsula. Notwithstanding recurrent tensions as well as periods of reconciliation between the Republic of Korea and the Democratic People’s Republic of Korea (DPRK), the idea of an opening of the border and a peaceful unification remains an important paradigm in both states. 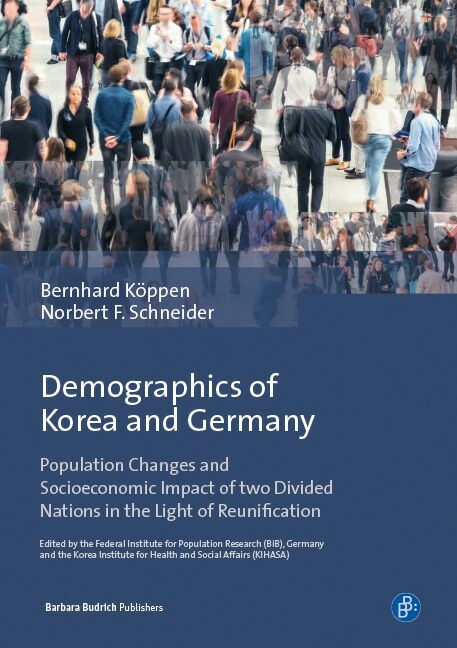 In this vein, the Federal Institute for Population Research (BiB), Germany and the Korea Institute for Health and Social Affairs (KIHASA) initiated a joint research initiative on demographic change before and after the German reunification as a basis for Korean scenarios on “reunification demography”. Given the quite unique character and the circumstances of German reunification as well as the specific situation in Korea, it is rather unlikely that studying the German case will lead to fail-proof blueprints for Korea. However, such an undertaking provides valuable knowledge on demographic patterns after a merger of societies. Based on the German experience, a rough scenario for Korea with focus on fertility, mortality, migration and socio-cultural challenges can be developed.